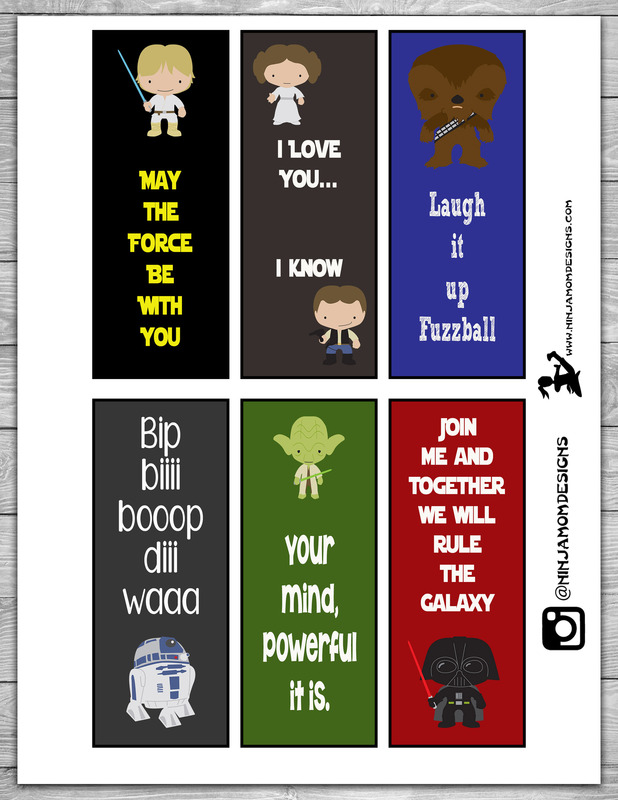 When my son was about 7, he started obsessing over Star Wars. He hadn’t even seen the movies. He learned all about them from Legos and Easy Reader books at the Library. I tried to avoid this obsession. I had already hung in there with him when he was into planets, dinosaurs, and ocean animals… I mean… at least those were real things… am I right?!?! I had never seen the Star Wars movies and had no desire to… and maybe I was a little prideful that I hadn’t succumb? WELL… through a series of events, I watched all six movies… I taught a Star Wars science class at our homeschool group, I got super excited when the Force Awakens came out. We took ALL our kids (yes… even the 4 year old… even though I used to judge parents who let their preschoolers watch Star Wars) to the theater. It was a big event. And somehow, somewhere along the way… I became a Star Wars person. I know all kinds of trivia and facts and movie quotes. Yes… I have embraced it… and so should you… with this cute printable. (CLICK ON THE LINK BELOW THE IMAGE FOR THE PRINTABLE VERSION). 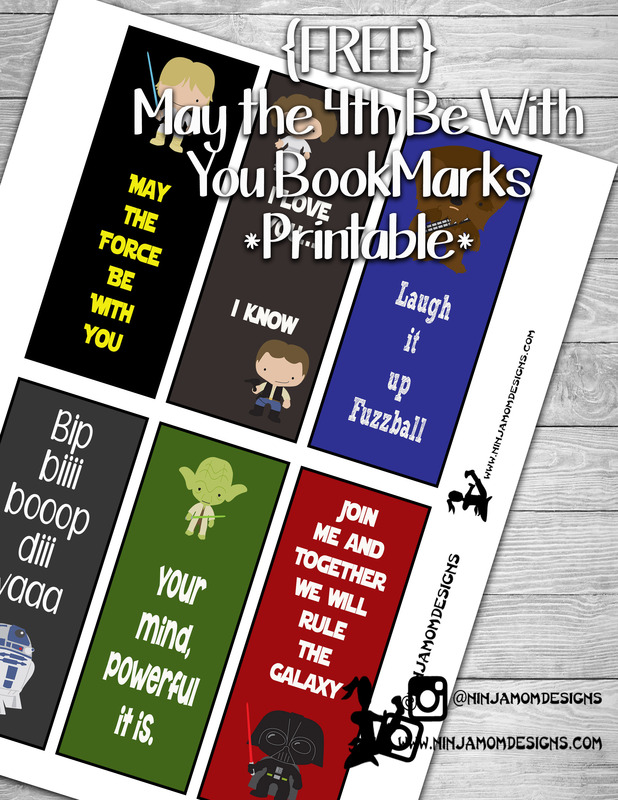 Whether you are printing it for yourself of your kids, enjoy this book mark set! Enjoy! and May the 4th Be With You!